PT Indofood CBP Sukses Makmur Tbk - ICBP or referred to as "Indofood CBP" is a reputable public-listed company in Indonesia, running business integrated consumer branded food industry. 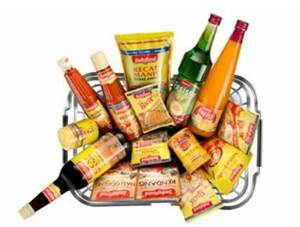 Based in Jakarta, Indofood CBP has main business focus on 6 pillars: noodles, dairy, food seasonings, snack foods, nutrition and special foods and beverages. Indofood CBP also operate a packaging business, producing packaging to support its main business, both flexible and corrugated packaging. PT Indofood CBP Sukses Makmur Tbk is an integral part of PT Indofood Sukses Makmur Tbk (Indofood Group), the strongest business group in Indonesia which focus on food industry. Indofood Group holds 80.53% shares in Indofood CBP. Other 19.47% remaining shares was owned by public. Based in Jakarta, Indofood CBP now has 50 plants located in key areas across Indonesia. Preferably Male, maximum age of 27 years old. Expertise with MYOB, SAP and Tax Brevet. Active in English language is an added value. JobsCDC.com now available on android device. Download now on Google Play here. Please be aware of recruitment fraud. The entire stage of this selection process is free of charge. 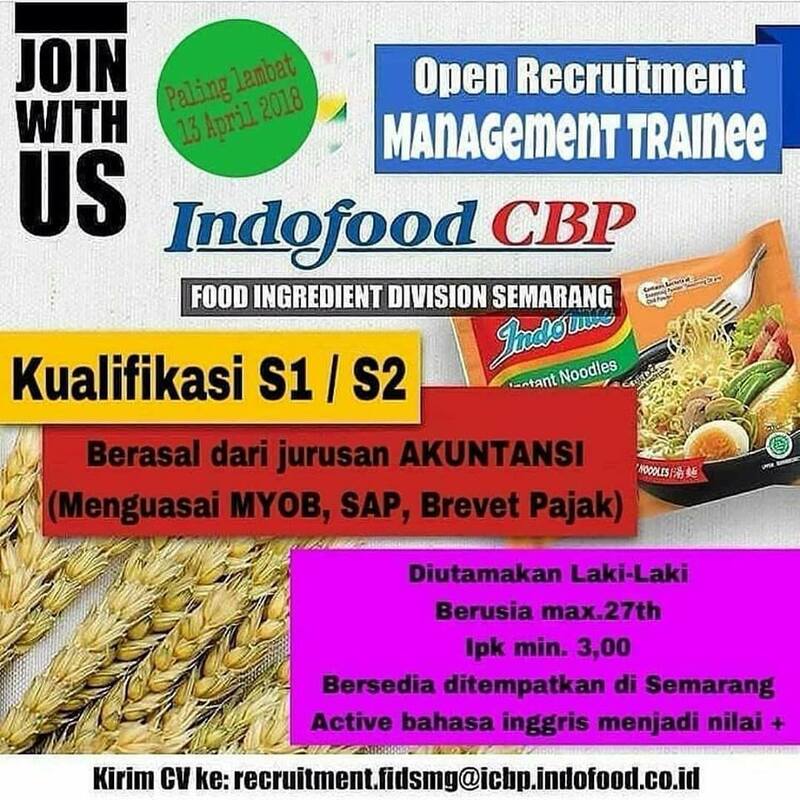 PT Indofood CBP Sukses Makmur Tbk - Management Trainee Food Ingredient Div ICBP April 2018 will never ask for fees or upfront payments for any purposes during the recruitment process such as transportation and accommodation.